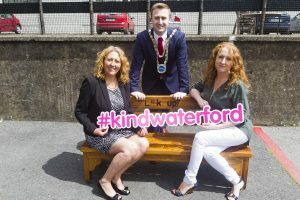 #kindwaterford is a community based mental health promotion initiative aimed at promoting the factors that protect mental health and wellbeing. 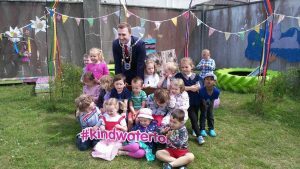 #kindwaterford was was developed by Healthy Waterford and the Waterford Childcare Committee and launched during Mayor’s Health Week 2016. 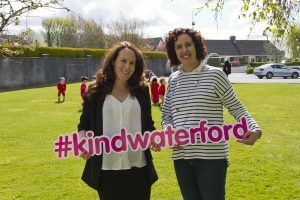 #kindwaterford wants to RAISE THE ENERGY of Waterford and focus on the benefits of kindness where everyone in Waterford treats themselves and others with empathy and kindness. 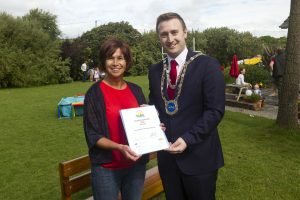 Ultimately this will build emotional resilience in ourselves and our communities and along the way reduce isolation, anxiety, loneliness and the sigma around mental health difficulties. Just like we all have physical health, we also all have mental health. Our mental health operates along a scale from feeling well to feeling unwell. Every day, we experience these ups and downs. Above are things that can help us withstand those ups and downs. Remember it’s okay not to feel ok! 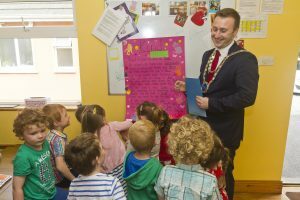 Here are a few of the ways we hope #kindwaterford will benefit us in our communities, where we go to school, where we work and where we live. 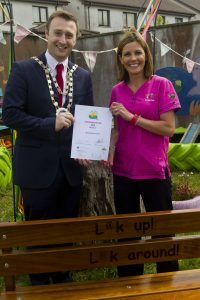 The #littlethings is the national mental health promotion campaign. It focuses on sharing evidence-based, simple and powerful day-to-day steps – little things that we can all do to protect our own mental health, and support the people we care about. Keeping Active – being active every day, something as simple as a walk is proven to have a positive impact on your mood. Talking about your problems – problems feel smaller when they are shared with others, without having to be solved or fixed. Just talking about it will do you good. Looking out for others – Lending an ear to someone else in trouble, or catching up with someone who seems distant, can change their day, or their lives. You don’t have to fix it for them – just listening is a huge help. 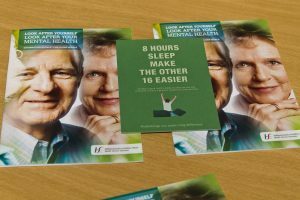 Drinking less alcohol – For the average Irish drinker, reducing alcohol will have a positive impact, making it easier to cope with day to day difficulties and stresses. Sleeping well – Getting a good night’s sleep of 7 or 8 hours, as often as you can, will have a positive impact on how you feel. Protect your sleep if you can, it will do you good. 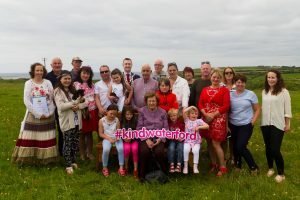 Through #kindwaterford we want to use the power of social media to promote the #kindwaterford message, activities and events that support our mental health and just to share some positivity. 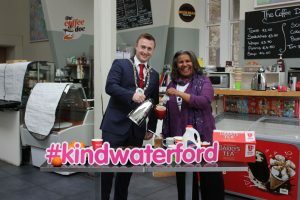 You can join in too by using the hashtag #kindwaterford on twitter and facebook or by tagging in us in pictures and events. Don’t forget to follow us on facebook to keep up to date with what we are up too!